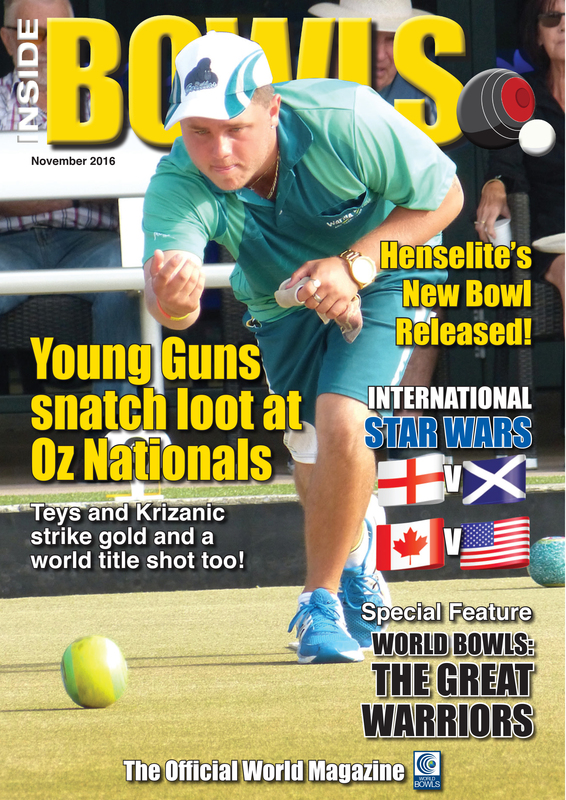 THE November 2016 edition of Inside Bowls, the official magazine of World Bowls, is now online and ready to read FREE of charge. Click here http://www.insidebowlsmag.com/nov16/index.html?r=12 for all the latest news and great bowls stories from around the world. These include a feature coverage of the recent Australian Singles Champion of Champions, last month’s televised international test series featuring Scotland, England and Wales, the sport’s biggest night out, Hong Kong’s Premier League finals, and the first-ever ‘indoor’ North American Challenge between Canada and the USA, plus many others. Highlight of this edition is a comprehensive preview of this month’s World Bowls Championships in New Zealand, plus the best statistical analysis of the twelve championships played to date ever published.